The last two weeks we have had a rather rare visitor to our backyard in the North Berkeley Flatlands. 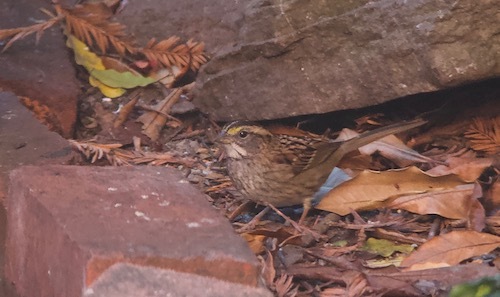 A White-throated Sparrow. Have I sent this to you before? Can’t recall.